Netflix has released a new featurette for their upcoming reset of its hit crime drama series, Narcos: Mexico, starring Michael Peña and Diego Luna. Debuting globally on the streamer on November 16, you can check out the video below as well as new photos in the gallery! Michael Peña (Ant-Man and the Wasp) will play Kiki Camarena, a family man and an undercover DEA agent who garnered valuable intel through a series of informants around Félix and his newly minted Guadalajara cartel, but quickly found himself in as he realized he had completely underestimated the sophistication of Gallardo’s system. 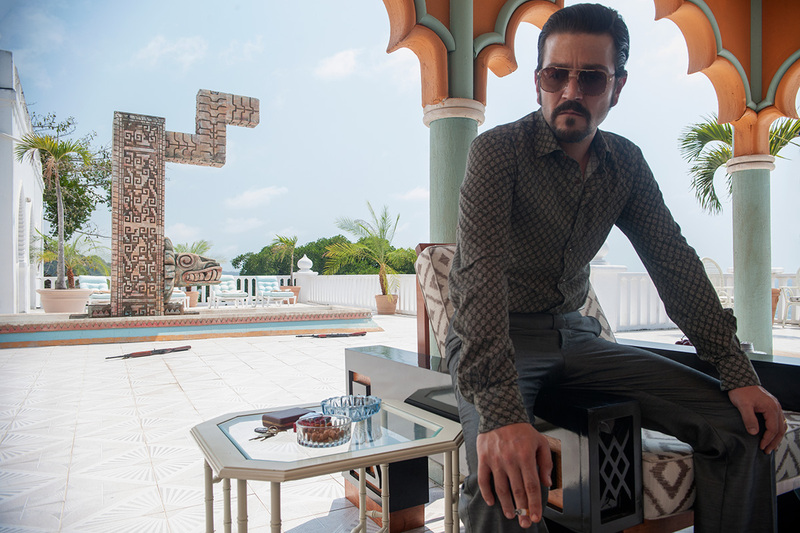 Diego Luna (Rogue One: A Star Wars Story) will play Miguel Ángel Félix Gallardo (“Félix”), the leader of the Guadalajara cartel, one of the biggest narcos in the history of Mexico and the founder of the modern Mexican drug trade. Quiet but bold, inscrutable but sharp-minded, to all appearances he is a benevolent leader, loyal to his friends, associates, and employees…but his ambition comes before all else. Joining Peña and Luna are Aaron Staton (Mad Men), Alejandro Edda (Fear the Walking Dead), Alfonso Dosal (Hazlo como hombre) Alyssa Diaz (Ray Donovan, The Rookie), Clark Freeman (We Go On), Ernesto Alterio (Cable Girls), Fermín Martinez (Lady of Steel), Fernanda Urrejola (Bala Loca), Gerardo Taracena (Apocalypto), Gorka Lasaosa (Brain Drain), Guillermo Villegas (Sin Nombre), Horacio Garcia Rojas (Texas Rising), Jackie Earle Haley (Watchmen, Little Children), Joaquín Cosío (Quantum of Solace),José María Yazpik (Narcos), Lenny Jacobson (Nurse Jackie), Manuel Masalva (Mi corazón es tuyo), Matt Letscher (Scandal, The Flash), Tenoch Huerta (Sin Nombre), Teresa Ruiz (Here on Earth), Tessa Ia (The Burning Plain), and Yul Vazquez (The Looming Tower, Magic City). 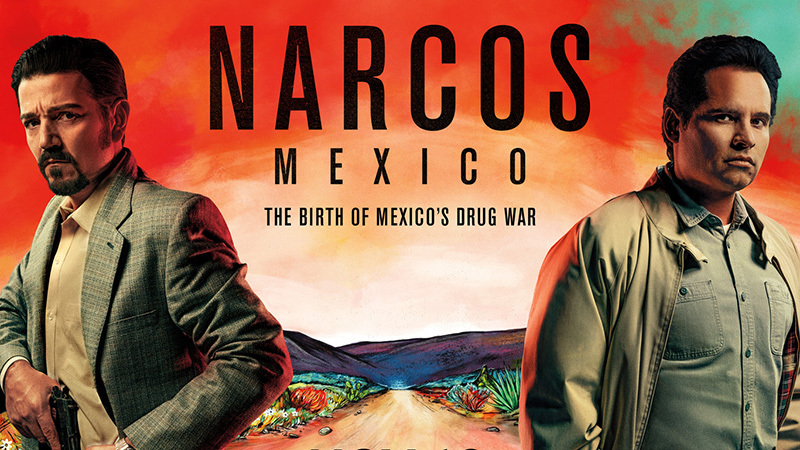 Narcos: Mexico is produced by Gaumont Television for Netflix. Eric Newman is Executive Producer and showrunner. José Padilha, Doug Miro, and Carlo Bernard are Executive Producers.